Imaginative play is a great way to introduce kids to their responsibilities, help them be independent, and introduce them to important life skills. Indoor tenting is a great activity for a rainy day or your child’s pajama party adventure. 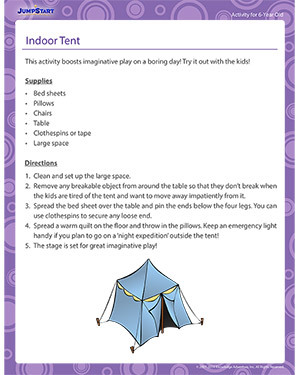 Check out more related 1st grade activities once you have set up the tent indoor perfectly!